The City of St. Charles Electric team has started their work for the service coming into the property for the new building. Riley, the electrical subcontractor, and the City Electric team have been working closely to make sure we keep communication our #1 priority throughout this process. One of the two neighboring businesses (OReillys) will have their completed drive by the end of the week of 11/12 which will mean it is closer to being fully contained within the fenced-in construction area. Curbs are the first step in this process and those will start shortly. Underground plumbing has started which will give the project a giant leg up on the inevitable cold weather. By getting this in now, we get a head start on pouring the slabs once the steel erection is complete. Underground Electric will be trailing the ongoing site utility work by laying out and prepping some of their equipment pads. 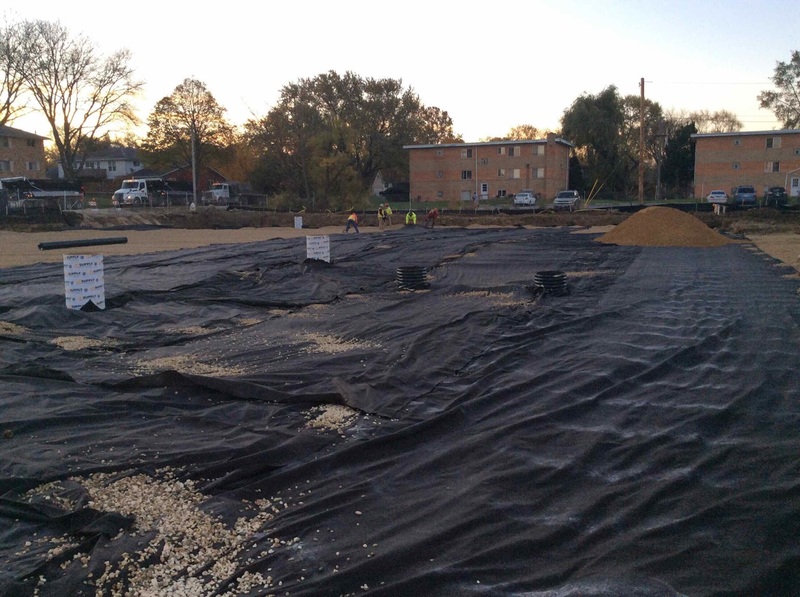 This is another effort to have the new Police Station warm and dry as soon as possible. This will ensure the interior construction is started as soon as possible with the ideal environment for tradesmen/climate sensitive interior materials. 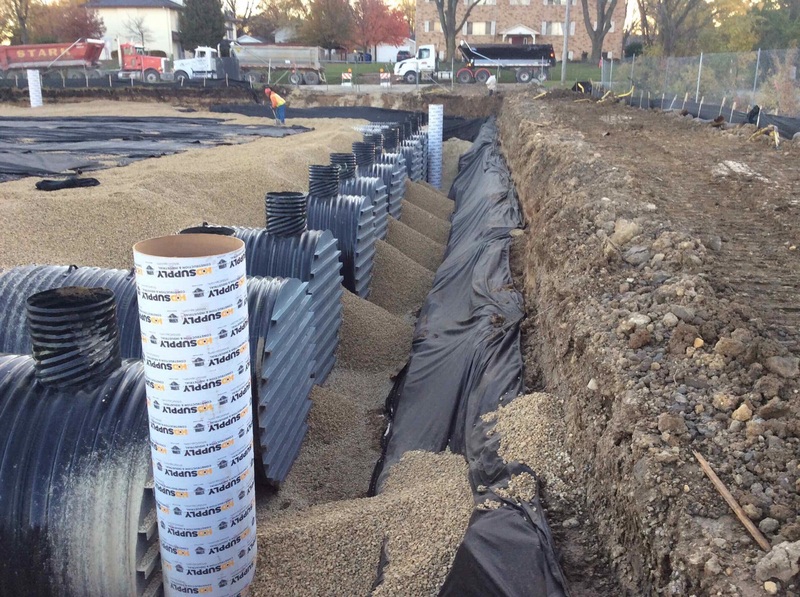 The underground storm water detention is in the final stages of being backfilled. There is a friendly fox who has thoroughly enjoyed sleeping in these pipes and exploring the jobsite in the morning (we may have to give him a name soon).